Offworld Industries confirmed yesterday that the Squad Early Access launch on Steam will happen on December 15. Until that date, you’ll be able to get a Squad Early Access Steam key at $30 here; on December 15 and afterwards, the game’s price will be increased to $39.99 on the official store page. Squad represents the continuation of the “Project Reality” Battlefield 2 mod. 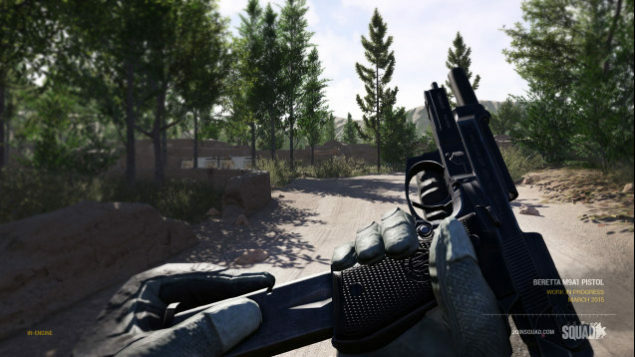 Powered by Unreal Engine 4, this large scale combined arms FPS has been crowdfunded on Kickstarter with $434,085 CAD; with the launch on Steam Early Access, two new maps will be revealed. Advance and Secure. A single or multi latticed conventional vs conventional objective based game mode where base building and supplying bases are secondary objetives allowing full use of the dozen plus kits available in game. Conquest. An objective based game where conventional and irregular forces vy for control of all objectives simultaneously, presenting scenarios experienced in the river valleys of current conflict zones where irregular forces flow like water around conventional force troop aggregations. Insurgency. A Conventional vs Insurgent game mode where conventional forces take mechanized infantry patrols into territory to search and destroy Insurgent weapon caches. Insurgents are given broad leeway to use guerilla tactics to eliminate the conventional forces’ reinforcements. Territory control. A Conventional vs Conventional or Conventional vs Insurgent battle where the conventional forces have to apply boots on the ground to secure total control of the terrain and towns, one square meter at a time. According to the Steam page, Squad should be in Early Access until the end of 2016, when players can expect the full release barring delays.